“Oregon State University” takes an in-depth look at OSU’s enduring legacy as a school for the people of Oregon, and its continued impact today with cutting-edge research projects conducted around the world—in technology, natural resources, marine sciences, and more. In the midst of the Civil War, President Abraham Lincoln signed federal legislation creating land-grant schools that would provide a practical education for the masses. It was a radical idea in a time when higher education was only accessible to the wealthy. The mission of land-grant schools would be to provide a low-cost instruction in agriculture, military science, and engineering. Today, OSU is one of only two institutions in the country to be designated land, sea, space, and sun grant status. Those federal designations provide unique opportunities to conduct and share research on a broad range of issues related to natural resources. 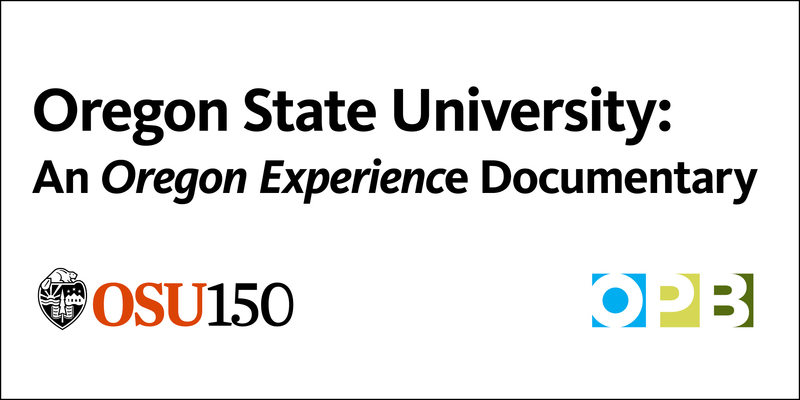 OPB’s documentary “Oregon State University” uses hundreds of rare images, historic film, and oral histories with illustrious alumni. “Oregon State University” is written and produced by Kami Horton and edited by Bruce Barrow. Read the Corvallis Gazette Times article about this event. June 5, 2018 screening at the Tower Theater in Bend. July 6, 2018 screening at the LaSells Stewart Center in Corvallis.